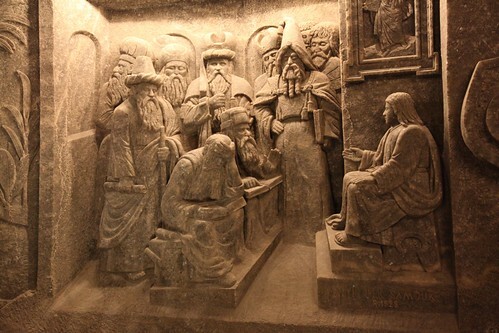 Deep below the ground in the Wieliczka town of Poland lies an amazing collection of statues and a large chapel which has been carved out of the rock salt by the miners of the Wieliczka Salt Mine. The mine was built sometimes in 13th century for producing table salt and reaches to a depth of 327 metres (1,073 ft). 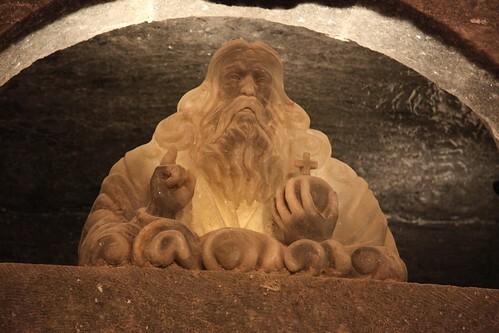 At some stage of time during the mining operation the miners started carving out the salty rocks and created astounding chapel and sculptures of biblical and mythical figures. 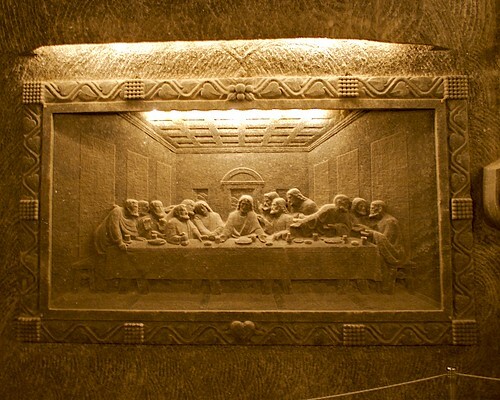 Exact time frame when these carvings were created is not known. 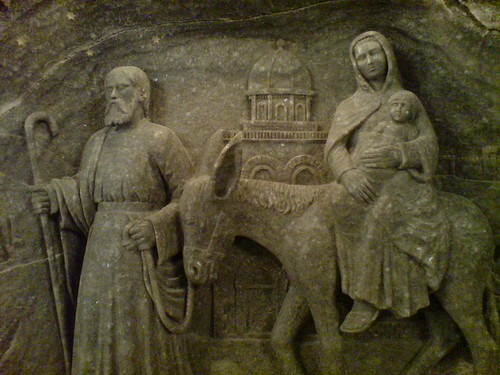 Some new ones have been added in the recent times and the old sculptures which had decayed over a period of time have been replaced with the new carvings by qualified contemporary sculptors. The mine also has a wonderful array of beautiful Chandeliers made from crystals created by dissolving the rock salt in water and then re-crystallizing it into clear glass-like crystals. The mine is now under the UNESCO list of the World Heritage Sites and is often referred as the Underground Salt Cathedral of Poland. 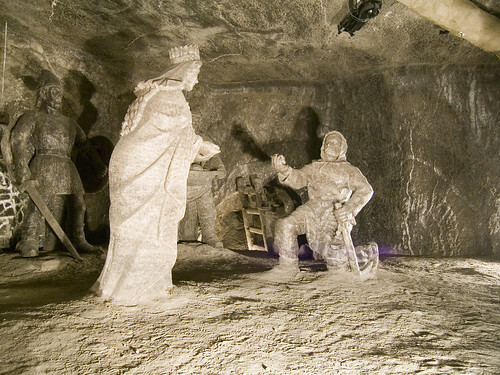 More than million people visit the Salt Mine every year.